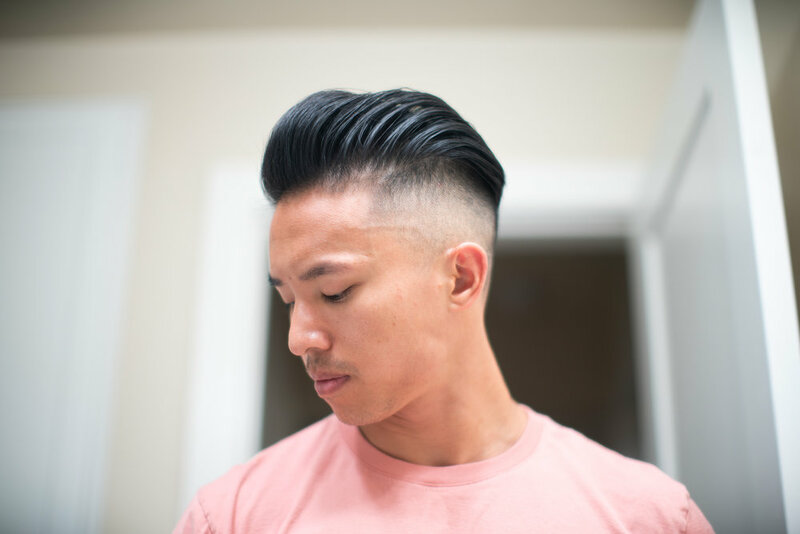 Last time we looked at Grim Grease, they had just introduced their new 2018 Line, and their new Cream Pomade turned out to be an outstanding product. So now, we're taking a glance at their even newer Matte Cream with hopes that it's a cleaner and even more convenient option. The new line is consistently cleaner than the previous design. The aesthetic reads more like a retro airline. Lots of horizontal lines. The jar itself is your standard 4 oz. amber glass jar. I like this scent. It's a little too complicated and abstract to succinctly sum it up with a note or two. It's not sweet but very smooth with a good dose of masculine musk. No obvious citrus or herbal spices. Just very smooth and homogenous. Just look at the jar. During the shipping process, the jar will be bouncing around in its package as the carrier throws the box from truck to truck and onto your front porch. You can see how Matte Cream went all over the place. That's how NOT viscous this formula is. Aight. Pay attention. Apply this to towel-dried and slightly moist hair. It'll go in nice and easy. Also, don't agitate it too much in your hands or you'll cause it to prematurely harden in your palms -- making application difficult and ineffective. The texture is quite lovely with this product. It's mostly coarse but does open up toward the fine side of the spectrum a bit. You'll be provided with some slight tackiness in the morning to balance it out. Note that this tackiness with disappear through the day. It's a medium-firm hold -- more towards medium. However, it's a high volume product because of the very lightweight of this cream. As the moisture evaporates out, the hold just becomes more and more effective. Downside is that it becomes more and more brittle. It's a very easy product to style with. Getting the vertical volume is easy and the tackiness helps to keep it clean in the horizontal direction. Whenever you use a product that hardens -- in a way -- you're putting all your eggs in one basket. If it doesn't begin to fall apart, then there's a good chance that it'll stay clean and shapely through the entire day. Now, if it does begin to break, then you can bet it'll break catastrophically. The brittle characteristic of the product doesn't allow it to bend and so, once bent, it'll crack. Because it hardened, the product doesn't have the moisture to allow easy restyling. You need water to reactivate the cream. If you can get the water, then you'll be very happy to know that you can restyle a very beautiful pomp even late into the day. Definitely does. 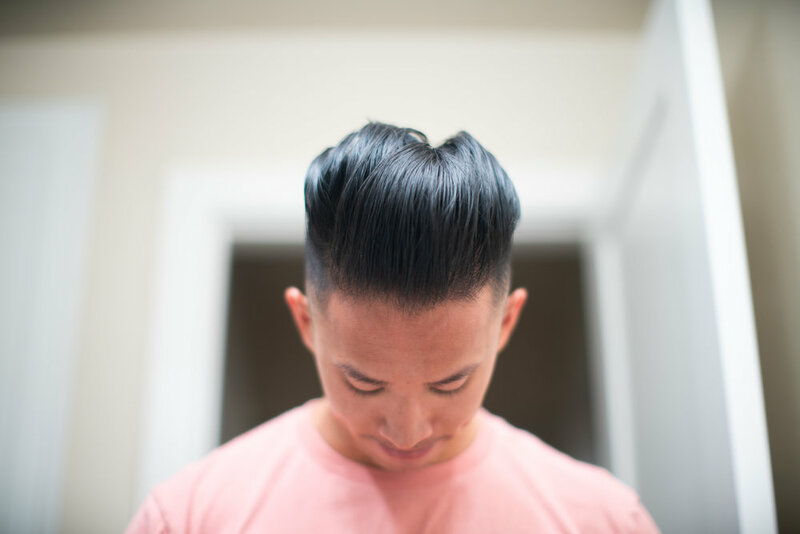 Might not be as hard as a gel-pomade, but there's no question that it hardens. Grim Grease Matte Cream has proven itself to be a very high performance cream that offers fantastic volume and styling conveniences at the cost of styling time (due to brittleness) and hardening. The latter can be advantageous if you're looking for it. Between their newest products, I would choose to use their Cream Pomade since it's a little more familiar to me. However, I have to admit that if volume is your priority, then this Matte Cream is your calling. If you're interested in this product, we do offer our promo code THEPOMP to help you save some money as long as you order directly from our boys at Grim Grease.